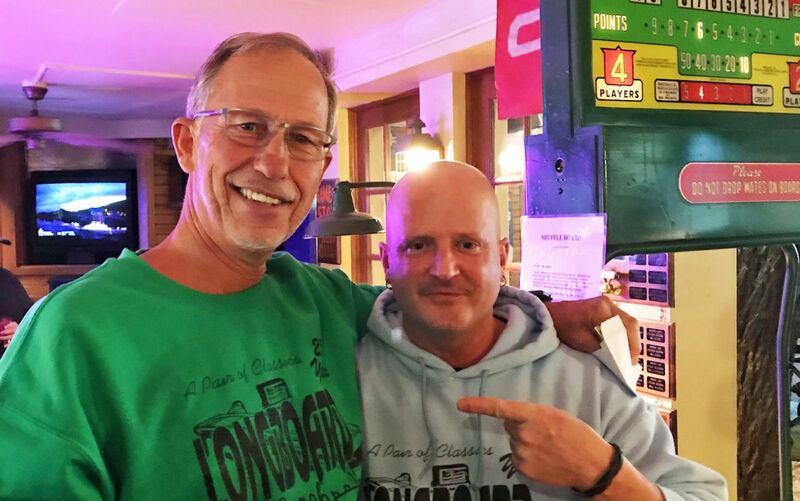 For a quarter-century, players have competed to be longboard champs in the Clark Lake Shuffleboard League. During the season, the competitors meet every Thursday evening. The 2018 Championship Playoffs took place Saturday, March 10, at the Beach Bar. This super match produced the winning team. 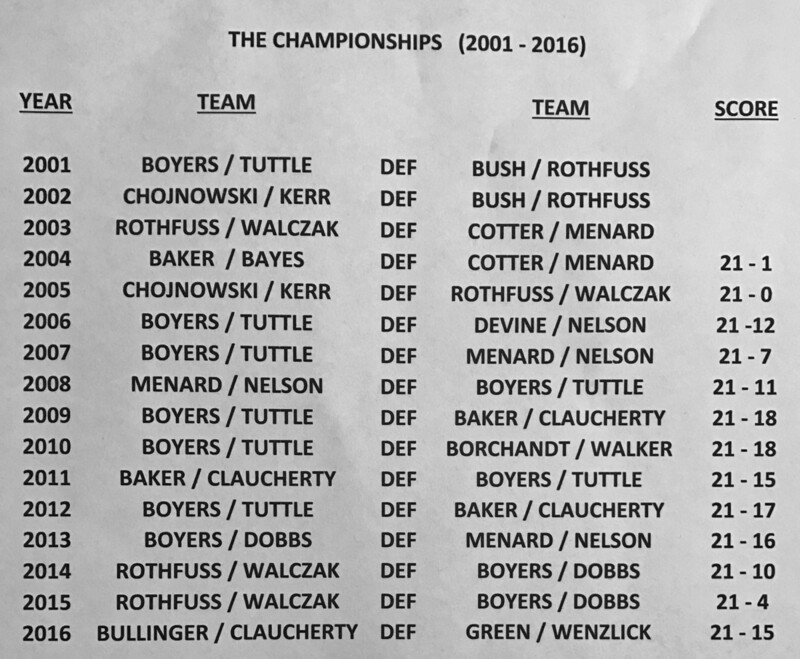 The League Champions are Kirk Green and Dennis Wenzlick. 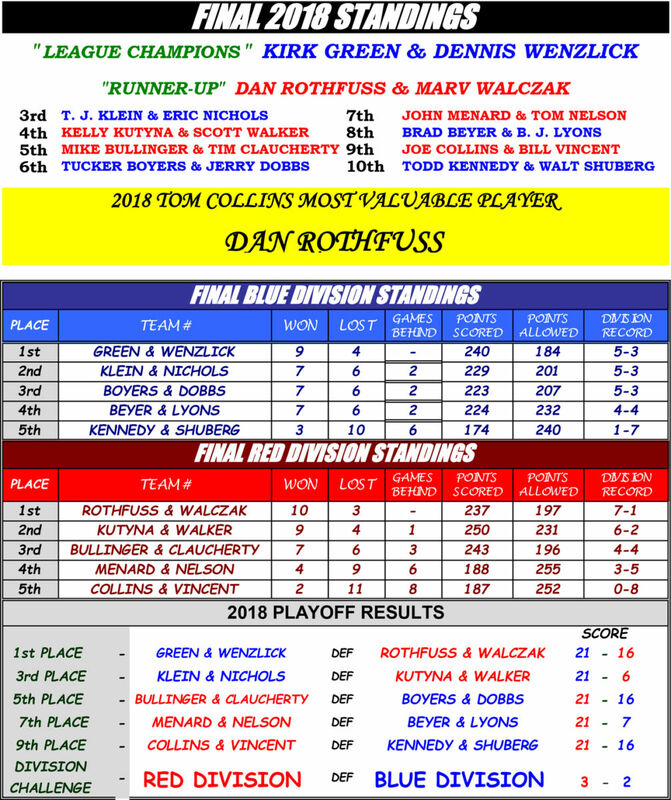 Dan Rothfuss was named the 2018 Tom Collins Most Valuable Player. 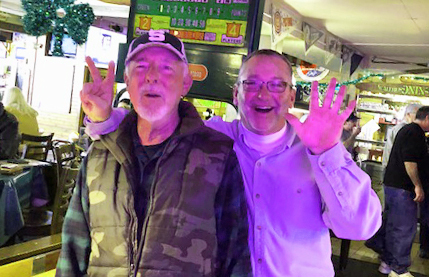 He’s pictured here with Tucker Boyers. Both Dan and Tucker go back to the beginning of the league and are celebrating its 25th anniversary. Here are the standings for the year. Last year BJ Lyons and Brad Beyer took the gold. Below are past winners for the other years. Thanks to Tucker Boyers and BJ Lyons for their help in creating this story.